Wildlife ranger Leonel Espino Chavez is collecting important information about Jaguars in Sierra Gorda for Grupo Ecológico Sierra Gorda (GESG), the Mexican conservation partner of World Land Trust (WLT). Leonel is employed by GESG with funding from WLT’s Keepers of the Wild fund and it is his job to place and check camera traps in three reserves: Las Arenitas, La Hierbabuena and Tinaja. Thanks to Leonel’s intimate knowledge of the terrain and expert tracking skills, GESG’s trail cameras are regularly recording images of Jaguar and other wildlife. Roberto Pedraza, GESG’s Technical Officer, describes Leonel’s role in capturing the images as essential: “Leonel is an excellent tracker and really knows his territory well and where to put the cameras,” he said. 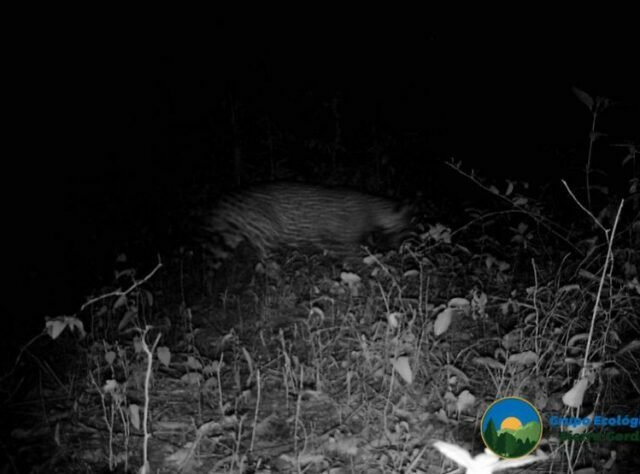 In mid November a trail camera donated by the British & Irish Association of Zoos and Aquariums (BIAZA) and installed by Leonel produced a fast moving image of a Jaguar at night. This was the second image captured by the BIAZA camera; the first picture recorded just part of a Jaguar. 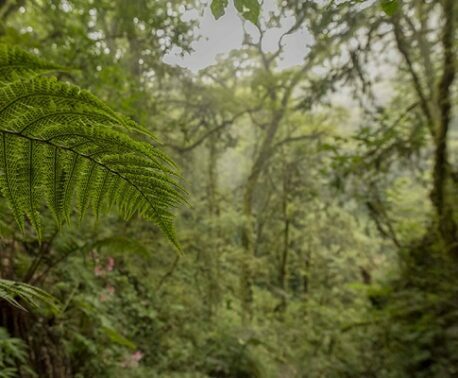 During 2014 BIAZA has been raising funds in partnership with WLT to support an extension to Las Arenitas. 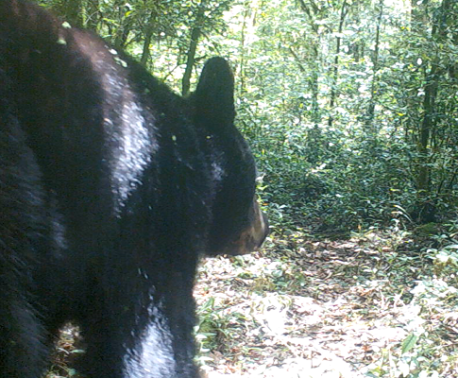 “Jaguar images from the BIAZA camera reflect the importance of extending protected areas in Sierra Gorda and it is great to be able to share these recent images with BIAZA members,” said Kelly Jacobs, WLT’s Project Manager for BIAZA Buy an Acre. Big cats are at the top of the food chain, and their presence in the wild indicates a healthy ecosystem. But, today there are few areas of the world where the food chain is intact enough to support big cats. WLT has been supporting GESG with funding for land purchase to create reserves in remote areas of Sierra Gorda since 2007. In 2014 WLT launched the Big Cat Appeal to draw public attention to the urgent need to protect habitat for big cats which are declining in the wild in most parts of the world. Threats to big cats come from humans who hunt them for trophies and for body parts, compete with them for prey such as deer and other mammals, or simply destroy their natural habitat by clearing it for building development and agriculture. “It is very good to have new evidence about the importance of the Sierra Gorda reserves, where large predators can still find shelter,” said Roberto about the Jaguar images collected by Leonel. You can support Leonel in his work monitoring Jaguars and other wildlife in reserves in Sierra Gorda supported by WLT by making a donation to Keepers of the Wild. You can also support conservation in Sierra Gorda by making a donation to WLT’s Big Cat Appeal or to Buy an Acre.